Footgolf Frenzy has been formed to proactively build and grow the game in the UK. Footgolf Frenzy wants Footgolf to be a sport enjoyed by all – from families to groups of friends, from the young to old and for those wanting some fun to those looking to improve their fitness. That’s what makes Footgolf so great! Its versatility and ease allows everyone to play – with optional competitive play. We understand the challenges facing Footgolf courses, from those who have set-up courses at golf clubs and centres; to those who have built dedicated courses. We operate a number of Footgolf courses and are Footgolf management consultants, so we are at the forefront of Footgolf – understanding the sport from the grass-roots – this makes us the best-placed to understand the challenges facing the sport and how we can grow the game together with vision, visibility and by working together. 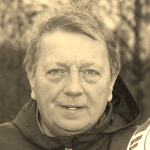 David is a PGA member with over 40 years experience in all aspects of golf – playing, teaching and club management. He is the founder and managing director of Golfwise Ltd, Notleys Golf Club Ltd and Footgolfwise Ltd.
David has been operating and promoting Footgolf for a number of years, and has an in-depth understanding of managing the game from the grass-roots through to an appreciation of the industry as a whole. David wants to grow the sport and support the industry. He sees the potential of Footgolf and how it can bring new customers to the golf course. Sarah founded Footgolf Frenzy in early 2015 with the vision to make the website the go-to resource for Footgolfers to book Footgolf tee times in the UK. The aim was to give Footgolfers all the information they would need about a Footgolf course and to make an informed booking decision. 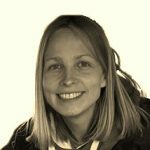 Sarah has previous experience of working in the golf tee time market and also runs a successful website consultancy company working with an array of companies on their digital marketing strategy. Her main clients are those in the golf sector. Sarah wants to raise the profile of the game and for Footgolf to be a sport for all the family to enjoy and play. Vic Akers OBE, was part of the Arsenal Management team for over 30 years. He is the most successful English football manager winning 10 doubles and a European trophy with Arsenal Ladies. Vic is attributed with developing ladies football as it is today in the UK. Vic is a keen Footgolfer and golfer. 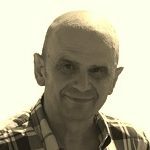 He is an advocate of Footgolf and keen to involve everyone in playing sport for health and well-being as well as for fun and enjoyment.